2. What are Brown Stains and Their Causes? Have you ever dreamed of sparkling teeth which attract the attention of everyone? The color of teeth is the reflection of not only your beauty, but also your health. There is nothing more embarrassing than having some brown stains on your teeth. Let’s learn how to get rid of brown stains on teeth quickly so that you can be truly confident whenever you smile to other people. Brown stains are a head-aching problem. Millions of dollars are spent on treating them, but not everyone can have a bright result. Shall we dig deeper into different types of treatment for brown stains right now? But first of all, you need to understand what are brown stains. What are Brown Stains and Their Causes? Brown stains refer to the discoloration of your teeth which turn from normal whitish to yellowish color. In addition, you might notice other symptoms, including foul smell from your mouth or bad breath. This problem is not fatal, but its consequences are worth concerning as it destroys your confidence and poses threats to your oral health. It takes a certain amount of time for brown stains to appear on your teeth. As a result, how hard you try, it is impossible to get rid of brown stains on teeth within one or two nights. Nowadays, many methods are available to help you eradicate brown stains on teeth without causing pain or side effects. You can rely on home remedies or more professional teeth whitening techniques. Remember that a method working for others might not work for you. So, you can try some of them before making the last decision. Generally speaking, using toothpaste to remove brown stains on teeth is one of the most economical and simplest methods. It is familiar with us because we brush our teeth with toothpaste every day. But the market now is full of options, and you might be crazy to choose the most suitable toothpaste for teeth whitening. You can find out more about WHAT IS THE BEST WHITENING TOOTHPASTE FOR ALL TEETH TYPES! If you want to speed up the elimination of brown stains, you can start using the toothpaste 2-3 times on a daily basis. And you should be patient with this method for some months. Toothpaste is not really effective to deal with deeper staining. However, it is good to eliminate surface stains or maintain your positive results from bleaching . Power bleaching refers to the combination of bleaching gels and hydrogen peroxide so as to remove brown stains on teeth quickly . It is an increasingly common method on how to get rid of brown stains on teeth. But bleaching might result in an irritating sensation, though the degree varies among individuals. Therefore, people use a protective ‘dental – dam’ to separate their gums and mouth. This method also involves the use of light to whiten your teeth. First, your teeth are covered with whitening gel and next, people pass LED light or laser over it. The gel becomes more active to eliminate brown stains. Normally, the treatment lasts from 30 to 60 minutes and the results might be very dramatic. If you know how to maintain and take good care of your teeth, then the result might be positive for years. When brown stains are persistent or darker, it is a sign that you will struggle more to remove brown stains. In such case, other options are more appreciated, especially composite bonding and porcelain veneers. Bonding is such a great idea on how to get rid of brown stains on teeth quickly. You can get your natural smile back quickly just by using composite resin and covering ugly stains on teeth. Though, you need to clean them regularly. Despite the high cost, porcelain veneers are actually a long-term tip on how to get rid of brown stains on teeth forever. They will cover up your stains as well as fix gaps between your teeth . This method uses a series of layers which are thin porcelain shells. They will lie under your tooth structure. You can actually have a big say over how to make veneers. They are dependent on your characteristics and preferences, so they are as natural as possible. The advantage of porcelain veneers is its durability. You do not have to worry that they will stain easily. It is worth the high price! If you choose this method, you would not have to worry about brown stains between 3 and 10 years . Composite veneers use plastic resin to cover your ugly stains. The making of these veneers involves a shade chart. It will help you adjust the color and translucencies to fit other teeth of yours to the fullest extent. There is nothing to do with your underlying tooth structure in this method, so all the stages are reversible. Professional tips on how to get rid of brown stains on teeth can bring great results in the long term. Nevertheless, not everyone is able to afford them. If you have a limited budget and an abundant amount of time, you may want to try natural home remedies. They are safe because all of them are natural ingredients. But it takes longer time to witness the improvements, let alone the fact that some might not work for you. Let’s take a look at some tips on how to get rid of brown stains on teeth naturally. As mentioned above, baking soda is a good option in case you want to eradicate stains on teeth. It is a common ingredient to treat discolored teeth and people have relied on it for a very long time. Nonetheless, using it too much has negative influence on your enamel, so make sure that you only count on it 2-3 times every week. Besides, the second choice is to mix baking soda directly with your toothpaste. I guess that salt is available in every house. And beyond its cooking applications, salt can become one of the best tips on how to get rid of brown stains on teeth naturally. Working as a dental cleansing substance, salt also contributes to the provision of lost minerals for your teeth. Its cleaning ability is amazing when it comes to teeth. If you do it right, you can remove yellow stains effectively. However, as salt is not good for your enamel and gums, do not use too much force when rubbing on your teeth. 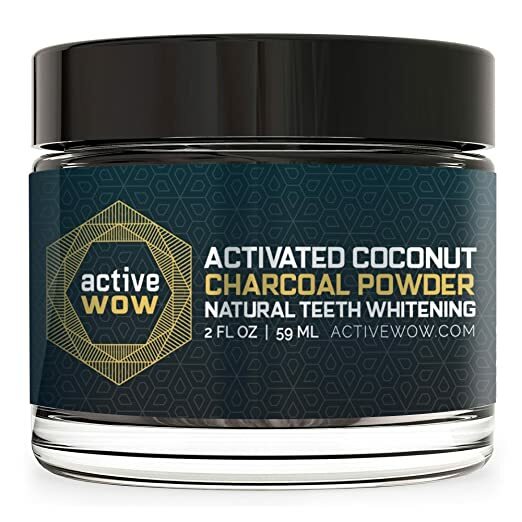 In addition to HOW TO USE ACTIVATED CHARCOAL FOR FACE, it is necessary to know that charcoal is good for teeth as well. You can take advantage of its amazing cleansing qualities to whiten your teeth efficiently. On the market, you can find some toothpaste with charcoal already in it. If your toothpaste is not one of them, you can directly add activated charcoal into it. Then, be committed to brushing your teeth about twice per day to get the best results. Banana is a wonderful fruit with countless benefits from its variety of nutrients. Yet, few people are aware of the true benefits of banana peel – a part which most of us consider useless. Surprisingly, its peel is an excellent source of minerals, namely, potassium, manganese and magnesium, as well. All of these minerals play an essential role in whitening teeth. You are free to apply this method 2-3 times per week to see its improvements over time. There are many qualities that lemon is famous for. You might know about its antibacterial and amazing immune-boosting power. But the applications might just be as simple as whitening teeth. It is another tip on how to get rid of brown stains on teeth that you want to know. Both of them bring positive results if you try to use it twice on a daily basis. It significantly reduces the risk of yellow stains. For long, aloe vera has been a fantastic cleansing agent. It has appeared in many home remedies for different skin problems. And undeniably, you can make use of the same effects to whiten your teeth. With powerful antibacterial nature, aloe vera protects your teeth from cavities effectively. Instead of wasting too much time and money on whitening your discolored teeth, why don’t you start learning how to prevent brown stains in advance? With white teeth, it is easier to make good impression on other people. Following are several popular tips to help you maintain oral hygiene in the best way. In general, how to get rid of brown stains on teeth is not a secret any more. There are many different methods to help you achieve sparkling teeth without stains. However, you have to take many factors into consideration to come up with the best solution for you. If you appreciate what I’ve shown in this article, do not forget to give me a LIKE and SHARE this one to as many people as possible!